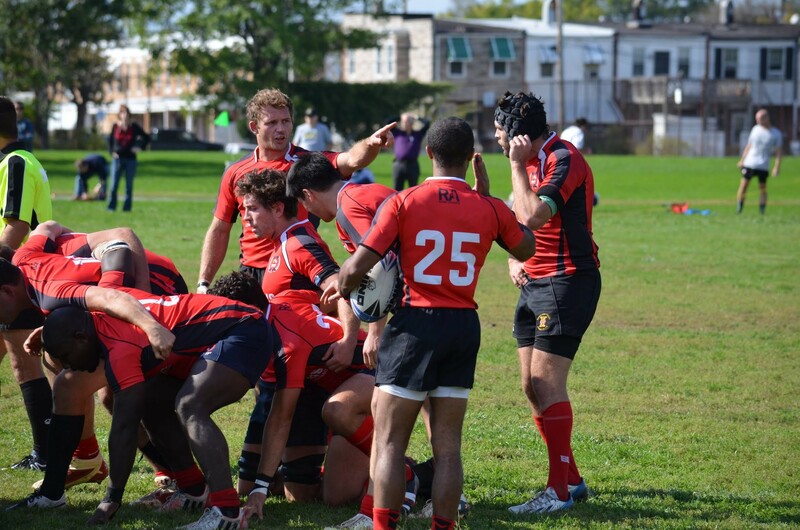 The Potomac Exiles travelled south for an unexpected away match against Norfolk on Saturday to open the 2015 spring season. Potomac dropped a tight game that was back and forth until the final minutes, 27-29. New center and recent UMD graduate Matias Cima opened the scoring with a converted penalty kick to put Potomac up 3-0 in the opening minutes. Norfolk would respond moments later with a score from veteran eight-man Fred Wintermantel. The converted kick would put the home team up 7-3, and they extended the lead to 12-3 with a winger try in the corner. Potomac answered ten minutes later with a powerful run from prop Jason “Dutch” Vanterpool. The defense tightened up after that, but a penalty kick and the first of three drop goals from fly half Johnny Cameron put Norfolk ahead 18-8 at the half. Potomac’s D would bend again six minutes into the first half, before the 23-8 deficit woke the visitors up. After some sustained possession, scrum half Chris Saint hit eight-man Alex Diegel for a crashing score, and the converted kick would bring Potomac back within eight. Cameron would again square up from 40M out to hit the drop kick and put Norfolk back up by 11 before Saint answered with back-to-back tries. Conor Mannix, back to center after some injuries and substitutions, converted after the second try to put Potomac ahead 27-26 with seven minutes left on the clock. The defense held back Norfolk’s attack, but again failed to recognize Cameron lining up for the long drop goal, which he hit for the decisive score, 27-29. Potomac would mount a last-minute attack, but a knock on from the Blues inside their own territory would end the game before Potomac could attempt a final kick, and sealed the Exiles’ first loss of the season. Potomac recognized sloppy play and their own mistakes cost them on this day, and look forward to seeing Norfolk in the playoffs. They will try to right the ship with another potential playoff opponent, Baltimore, next week at home.